News — Christmas has come early at Patisserie Valerie! The sun may be shining, but they’re giving you the chance to invent and design your perfect festive gateau! 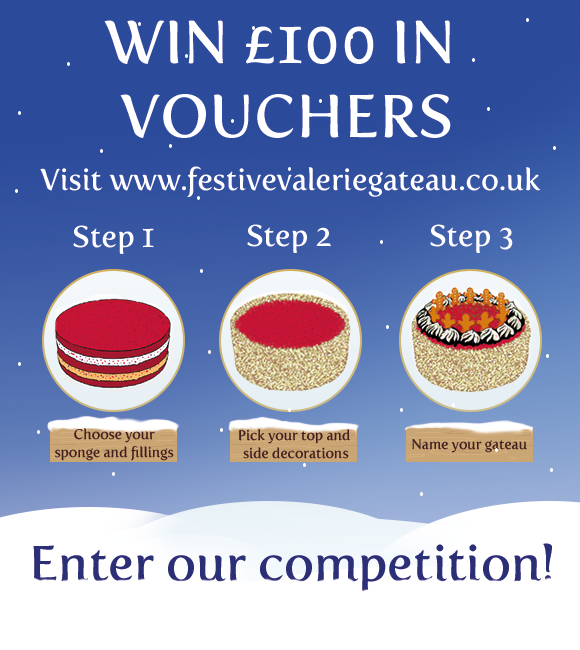 Just use the link here and choose your perfect sponge flavour, cream, fillings, festive toppings and side decorations to be in with a chance of having your design included within Patisserie Valerie’s festive range this Christmas, as well as a bundle of gifts including vouchers worth £100! Three runners up will also receive a 4 Slice Treatbox voucher each.